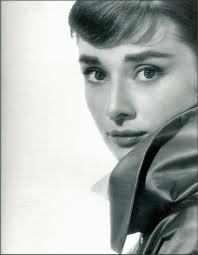 Born in Ixelles, Belgium as Audrey Kathleen Ruston, Hepburn spent her childhood chiefly in the Netherlands, including German-occupied Arnhem, Netherlands, during the Second World War. She studied ballet in Arnhem and then moved to London in 1948, where she continued to train in ballet and worked as a photographer's model. She appeared in several European films before starring in the 1951 Broadway play Gigi. Hepburn played the lead female role in Roman Holiday (1953), winning an Academy Award, a Golden Globe and a BAFTA for her performance. She also won a Tony Award for her performance in Ondine (1954). Hepburn became one of the most successful film actresses in the world and performed with notable leading men such as Gregory Peck, Rex Harrison, Humphrey Bogart, Gary Cooper, Cary Grant, Henry Fonda, William Holden, Fred Astaire, Peter O'Toole, and Albert Finney. She won BAFTA Awards for her performances in The Nun's Story (1959) and Charade (1963), and received Academy Award nominations for Sabrina (1954), The Nun's Story (1959), Breakfast at Tiffany's (1961) and Wait Until Dark (1967). She starred as Eliza Doolittle in the film version of My Fair Lady (1964), becoming only the third actor to receive $1,000,000 for a film role. From 1968 to 1975 she took a break from film-making to spend more time with her two sons. In 1976 she starred with Sean Connery in Robin and Marian. In 1989 she made her last film appearance in Steven Spielberg's Always. Her war-time experiences inspired her passion for humanitarian work, and although she had worked for UNICEF since the 1950s, during her later life she dedicated much of her time and energy to the organization. From 1988 until 1992, she worked in some of the most profoundly disadvantaged communities of Africa, South America and Asia. In 1992, Hepburn was awarded the Presidential Medal of Freedom in recognition of her work as a UNICEF Goodwill Ambassador. In 1999, she was ranked as the third greatest female star of all time by the American Film Institute.